Former UFC Light Heavyweight Champion Quinton “Rampage” Jackson isn’t playing the innocent victim in the drama that ensued between him and his former employer, UFC, admitting that he “messed up” when he decided to take the role as B.A. Baracus in “The A-Team” movie. But, despite his best efforts to make up for the “hard decision,” the relationship only deteriorated. Quinton Jackson made it clear that he was unhappy fighting for Ultimate Fighting Championship (UFC) the last few years. However, “Rampage” knows that when a relationship is troubled, it more than likely means that both parties involved need to assume responsibility. During the Bellator MMA media conference call last week, Jackson said he was glad to finally be free from the shackles of the ZUFFA-owned mixed martial arts (MMA) organization and thrilled to be working within a promoter who “gets it” like Bjorn Rebney. Even though Jackson is moving forward with the latest chapter in his extensive combat sports career, the former UFC Light Heavyweight champion today looked back at his tumultuous relationship with company Dana White, admitting that he was partially to blame for the tension. And while he admits pulling out of his bout against Evans in his hometown, Memphis, Tenn., wasn’t his best career move as far as UFC was concerned, passing up on a once-in-a-lifetime chance to make a blockbuster film really wasn’t an option. But, don’t think “Rampage” has all bad things to say about his former employer; admitting UFC is a “good company,” but when it comes to looking out for the fighters themselves, the world’s pre-eminent MMA organization lacks in that department. Jackson revealed he was indeed offered another deal by UFC, but didn’t bother mulling it over because he knew he wanted out. Luckily, unbeknownst to him, Bellator MMA was waiting in the wings to scoop him up and offer him things White and Co. tried to prevent him from having such as a career in Hollywood and a pro wrestler. 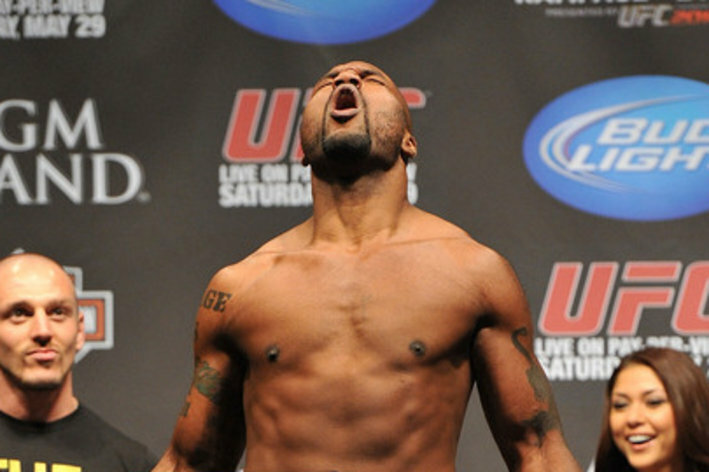 And so the professional wrestling career of former UFC Light Heavyweight Champion Quinton Jackson begins … already. Former Ultimate Fighting Championship (UFC) Light Heavyweight Champion Quinton Jackson “couldn’t wait” to get into professional wrestling. “Rampage” apparently didn’t have too wait long. Tonight (Thurs., June 6, 2013), Jackson made his debut on TNA Impact Wrestling on Spike TV, just two days removed from inking a hybrid deal that will also see him compete in mixed martial arts (MMA) under the Bellator banner. Jackson set up his entrance to the ring with his signature werewolf howl, high-fiving diminutive fans on his walk down the ramp. The UFC wannabe, and Olympic wrestling gold medalist (1996), followed him into the ring and issued a warning that “Rampage” might be the best elsewhere (like the Octagon), but that he was in over his head in his new capacity. Even though the fictitious storylines are already underway, Jackson has no set date for an actual Bellator or TNA debut. However, if former Strikeforce champion, Muhammed Lawal, is any kind of barometer, Jackson will first compete in MMA as he simultaneously learns the finer points of professional wrestling. And if that’s the case, hopefully he learns from the mistakes of his possible tag-team TNA partner, “King Mo,” and doesn’t get KTFO in his Bellator debut. 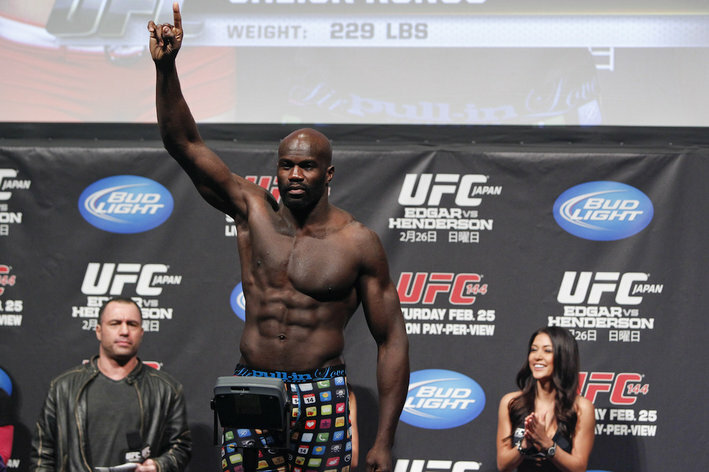 SANTA MONICA, Calif. — On Tuesday, published reports claimed veteran heavyweight Cheick Kongo signed with Bellator. One day later, Bellator CEO Bjorn Rebney said that the French fighter has not inked a deal with the company. But he dropped plenty of hints that Bellator has interest in the Wolfslair MMA fighter. 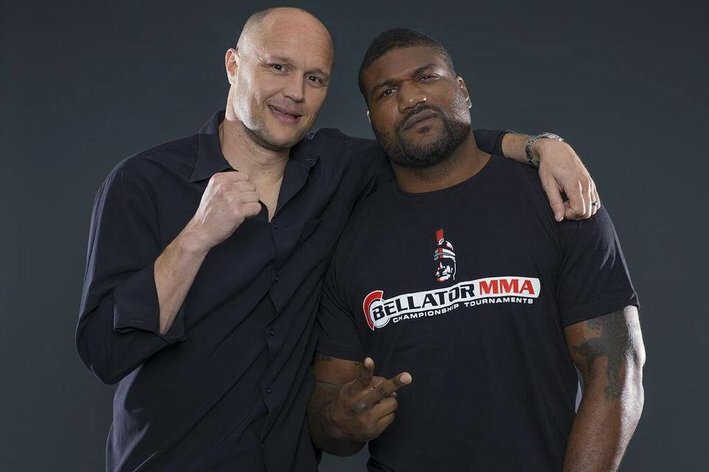 Speaking at Wednesday’s press conference for another Wolfslair-affliliated fighter, Quinton “Rampage” Jackson, Rebney said that Kongo has not yet signed. But Rebney then went ahead and added that in developing a relationship with Jackson, Bellator also established contact with the rest of the British camp. While not mentioning Kongo again by name, Rebney said to expect more Wolfslair fighters to join the Bellator fold. 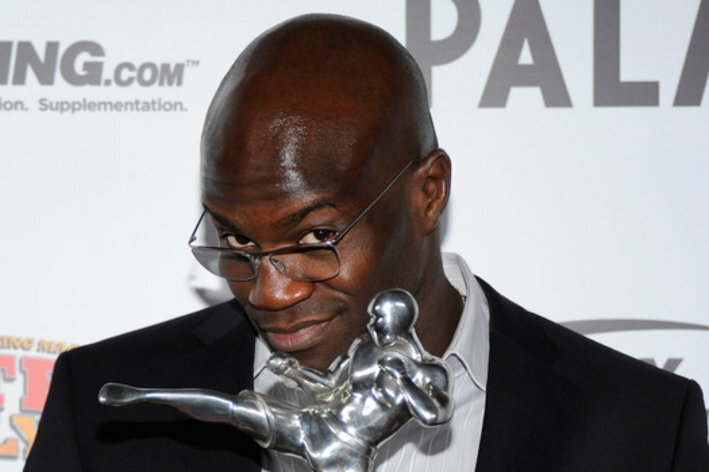 The 38-year-old Kongo is 18-8-2 in his MMA career. He was released from the UFC last month after a seven-year stint in which he went 11-6-1 in the company, with his last fight a knockout loss to Roy Nelson at UFC 159. Let’s see, a professional wrestling tag team is only as good as the name it competes under. What’s a good handle for Rampage Jackson and King Mo Lawal? I’ve got bad news for all the mixed martial arts (MMA) “purists” who can’t stand professional wrestling. Combat sports borrows heavily from the squared circle when it comes to promoting a fight and cutting a promo. After all, there is a reason Chael Sonnen (WWE fan) continues to get press everywhere he goes and it’s not for his sub defense. Heck, even the great Muhammed Ali was influenced by “Gorgeous” George Wagner. Then there’s that whole Brock Lesnar thing. With that in mind, some of you tightwads might want to take the sticks out of your asses and embrace this symbiotic relationship, because it’s here to stay. But don’t shoot the messenger! It’s guys like former Ultimate Fighting Championship (UFC) Light Heavyweight Champion and recent Bellator MMA acquisition Quinton Jackson who are doing all the legwork. Primarily because Jackson and fellow Viacom commodity, Muhammed Lawal, were ready to punch each other in the face after their van ride from hell (watch it here), which also included Bobby Lashley, another TNA wrestler who fought under the Strikeforce banner. Just one, big happy MMA/TNA family. True, they made up (see their reunion here), but Jackson says he can only handle his new pal in short doses. What a great storyline for a volatile tag team! The new Mega Powers are about to explooooooooode! Or not. Either way, “Rampage” is expected to make his first appearance for TNA Impact Wrestling on Thursday night (June 6, 2013) at 9 p.m. ET via Spike TV. Cheick Kongo has found a new home, as the former UFC heavyweight contender has reportedly inked a deal with Bellator MMA. 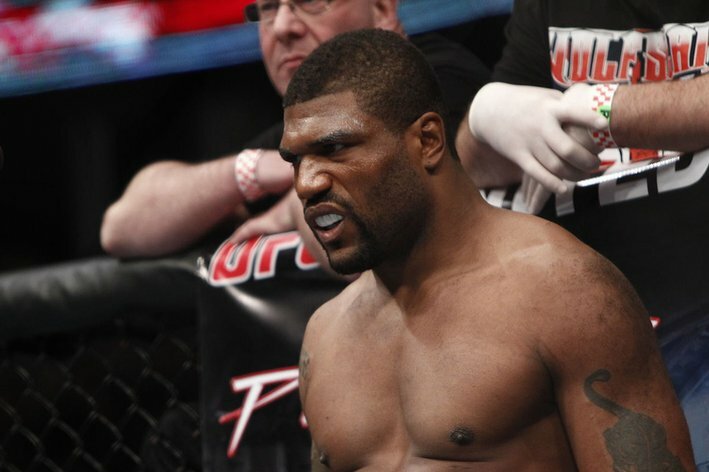 Not all faces will be unfamiliar for Quinton Jackson when he heads to Bellator this Fall. According to MMA Weekly, Cheick Kongo — “Rampage’s” teammate at Wolfslair MMA — signed on the dotted line to compete inside the Bellator cage earlier today (June 4, 2013). The former Ultimate Fighting Championship (UFC) heavyweight contender turned down a four-fight deal with the Las Vegas-based promotion just last month, debunking any rumors that the French-born fighter had been cut from the ZUFFA roster after his first round knockout loss to Roy Nelson at UFC 159. Kongo posted those comments on his Facebook page shortly after the rumor mill started working overtime. The Parisian competed 18 times inside the Octagon, amassing an 11-6-1 record during his tenure. However, he was knocked out in two of his last three fights by the aforementioned Nelson and Mark Hunt. The signing comes on the heels of the news that “Rampage” had bagged a contract with Bellator in an exclusive deal that will also see him compete for TNA Wrestling. The former UFC Light Heavyweight Champion “guaranteed” big changes in MMA thanks to the benefits of his new contract. Perhaps those benefits were too good for Cheick to pass up, too. No word yet if Kongo will have the same option of pulling double duty as an MMA fighter and pro wrestler, much like Jackson and former Strikeforce 205-pound champion, Muhammed Lawal. Anyone expect big things from Kongo inside the Bellator cage? Former PRIDE and UFC star “Rampage” Jackson is going to help change the sport of mixed martial arts (MMA), thanks to his new landmark deal with Bellator and TNA, though I get the feeling Eddie Alvarez may be of dissenting opinion. Chris Weidman wanted nothing to do with Bellator MMA once he read the fine print on their contract. Eddie Alvarez is taking them to court to try to break free of their stranglehold over his career and recent signee, Paul Daley, is furious over the restrictions they’ve placed on his mixed martial arts (MMA) career. I guess Quinton Jackson knows something they don’t. “Rampage” signed an exclusive deal with Spike TV and Viacom on Tuesday (see the details here) and tells TMZ that not only is he living his dream, but he’s paving the way for other fighters who (like him) may be unhappy with the way Ultimate Fighting Championship (UFC) is doing business. Those benefits are likely the same ones shared by former Strikeforce Light Heavyweight Champion Muhammed Lawal, who also joined the Viacom family roughly one year ago. And, like Jackson, “King Mo” will also pull double duty as a professional wrestler. When and against who, remains to be seen. Jackson’s dream may soon become a nightmare if he’s unable to capitalize on this new opportunity. Lawal suffered a serious setback when he was knocked out by Emanuel Newton earlier this year (see it here) and “Rampage” is already mired in a three-fight slump. You know the old saying: The more things change, the more they stay the same. Former UFC Light Heavyweight Champion Lyoto Machida looks to get back into the title hunt when he collides with another ex-205-pound champ, Quinton Jackson. 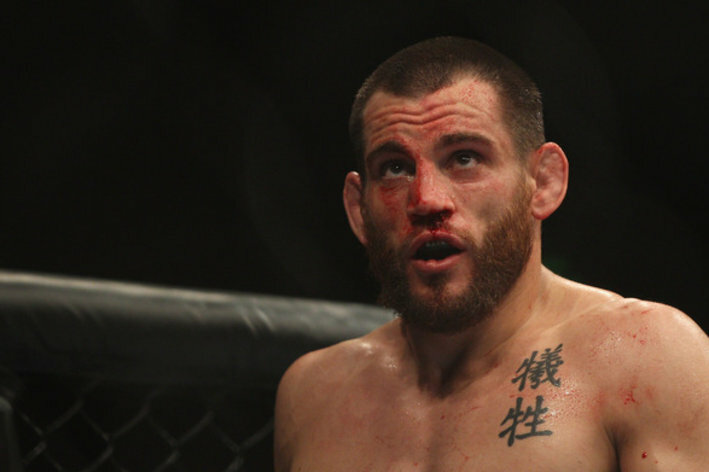 “The Dragon” plans to exploit “Rampage” where he isn’t dominant. Clinch? Ground? Or will the Brazilian play keep-away until “B.A. Baracus” gets frustrated and makes a mistake on his feet? Let’s hear some predictions Maniacs, how do you see this one playing out?